FBI agents are in Hawaii searching for the suspect of a two bombings in California that targeted companies that tested animals for products. 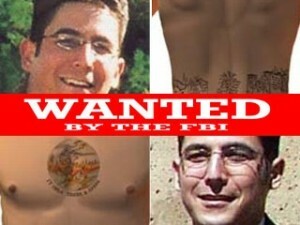 Hawaii News Now reports that authorities are also erecting signs offering a $250,000 for the capture of Daniel Andreas San Diego, who is suspected of two bombings in 2003. FBI officials said the search is serious. Posted: 3/12/14 at 9:22 AM under News Story.